The 22-year old also added that he has learnt a lot by playing with Aussie chinaman specialist Brad Hogg at Kolkata Knight Riders and is in regular touch with his childhood idol, Shane Warne. 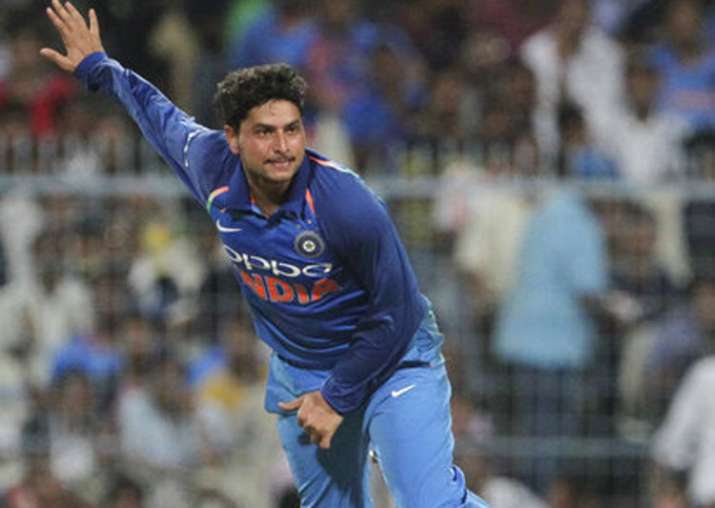 He may have become India's latest spin sensation but chinaman bowler Kuldeep Yadav says he is not thinking about being seen as Ravichandran Ashwin and Ravindra Jadeja's replacement. India's ploy of playing two wrist spinners has worked well in the limited overs series against Australia, as Yadav along with Yuzvendra Chahal have been instrumental in the team's 4-1 ODI series win, and a 1-0 advantage in the ongoing three-match T20I series. "I don't think of that far. Both Ash and Jaddu bhai have been consistent performers for India in all the three formats. There's no question of thinking about replacing them," Yadav told reporters on the eve of the second T20I in Guwahati. "We are very young, and there's a lot of cricket left in us. It has never crossed my mind," the 22-year-old added. The Aussies have struggled to pick Yadav time and again but the chinaman spinner said he was not a mystery bowler. "I'm not a mystery bowler who will bowl from different hands. Obviously, after two-three years they will pick you and it becomes easy for them. For me, if your basics like alignment and accuracy are right, it becomes easy for you. "For me, it does not matter if someone tries to pick you from video analysis. If you bowl in right areas, have good variations, landing on the spot and beating the batsmen in the air, no matter how many times you see the video it won't matter," Yadav, who credited Aussie duo of Brad Hogg and Shane Warne for his transformation, said. "Both play a very important role in my career. I've followed Shane Warne since childhood. He's my idol. My life will be a success if I could achieve 50 percent of what he has achieved. I stay in touch with him. Asked about Hogg's contribution, Yadav said he had picked up "flipper or wrong one" from the fellow chinaman. "He's 46 now with a career span of over 23 years. For me, it's just the start of my career. It's great to learn from him. All these small things are useful for me." Yadav and Chahal have a share of 16 wickets among them in four ODIs and one T20I in the ongoing limited-over series against Australia and the former felt that their chemistry is working. "I have a very good partnership going on with Chahal. We know each other for five years. It's easy to understand each other's plans. It helps on the ground if we keep talking to each other. There's a good understanding going on between us. We bowl in partnerships in a match as well, the difference is evident. "We talk about the wicket, whether it's fast or skids. I ask him how the ball is responding on a particular wicket and things like that. It's very useful for me and the team." The fans here see an international cricket match after seven years at the new stadium tomorrow. "We were welcomed with traditional culture. It is very overwhelming to experience different cultures of the country. 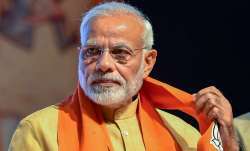 Every part of India has a different culture," he said about yesterday's traditional reception the team received at the airport.